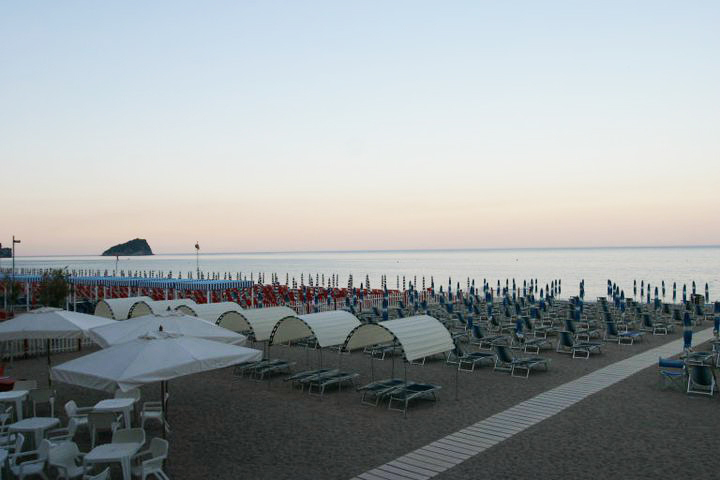 The private beach of Villa imperiale is situated in front of the Hotel in a central position compared to the bay of Spotorno. At the beach establishment you can find several services: deckchairs, sunbeds, sun umbrella locations, beach hut, green area, children’s playground and beach bar. The beach is included in the room price with half-board and full-board treatment.